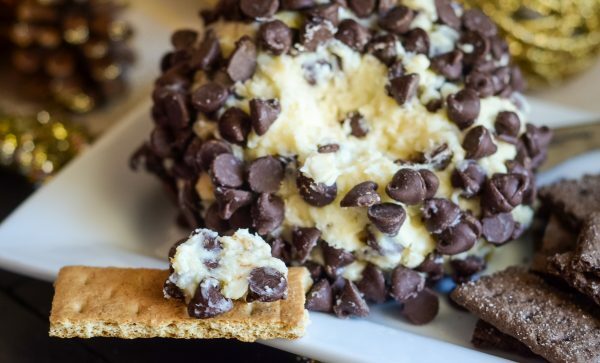 It’s time to bring the best party food to share with friends with this Chocolate Chip Cheesecake Ball! 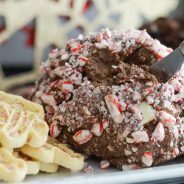 During the holidays bringing a dessert is just a given for any holiday party, the best dessert can actually be the easiest. 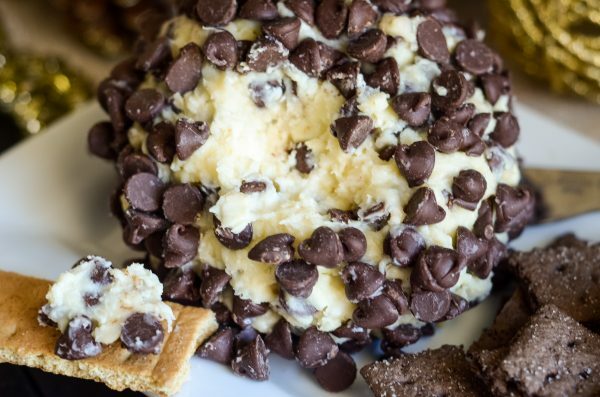 This Chocolate Chip Cheesecake Ball is a favorite around here and it’s also no-bake! That’s right, you can prep it the night before and it’s ready to go for your party. We started making this many years ago and have since grown to have it as a staple at parties, it’s perfect for sharing. 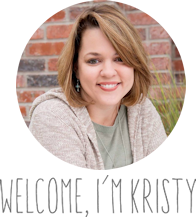 I like to pair ours with a variety of dipping choices too. This needs to be refrigerated, so be sure to give yourself plenty of time to make it so you can get it nice and chilled in the fridge. It’s best to whip it up in a stand mixer, it’s simply easier that way but you can do it by hand if you prefer too. 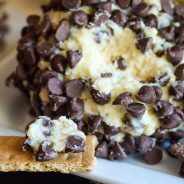 What should you serve with Chocolate Chip Cheesecake Ball? 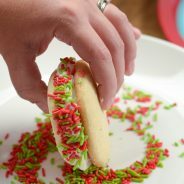 We love to serve ours with festive cookies that fit the holidays like gingerbread or shortcake cookies. If you are making this year round, I like to do this with graham crackers both the traditional and chocolate. 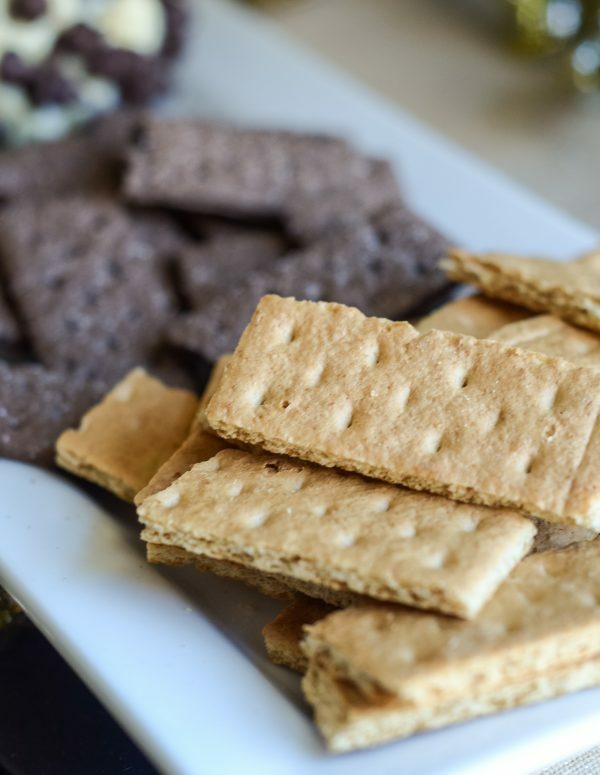 If you are making it gluten-free, it’s simple to just stick with a gluten free graham cracker or cookie for dipping. 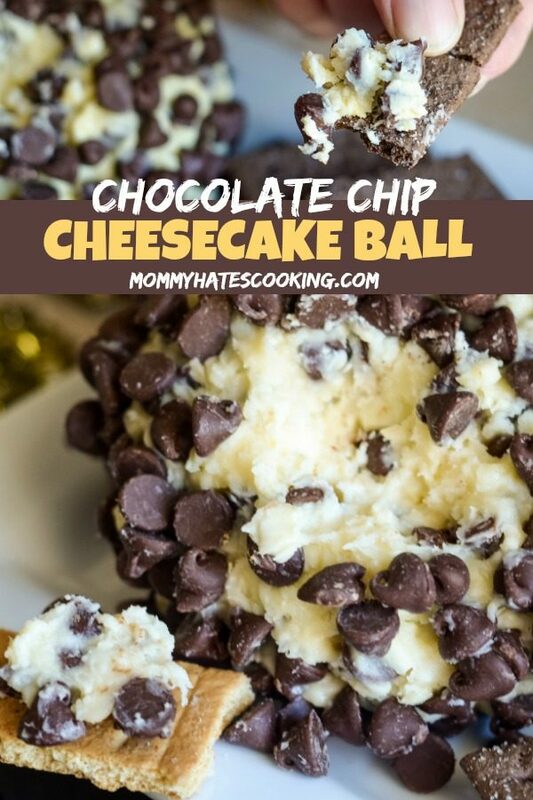 What do you need for Chocolate Chip Cheesecake Ball? 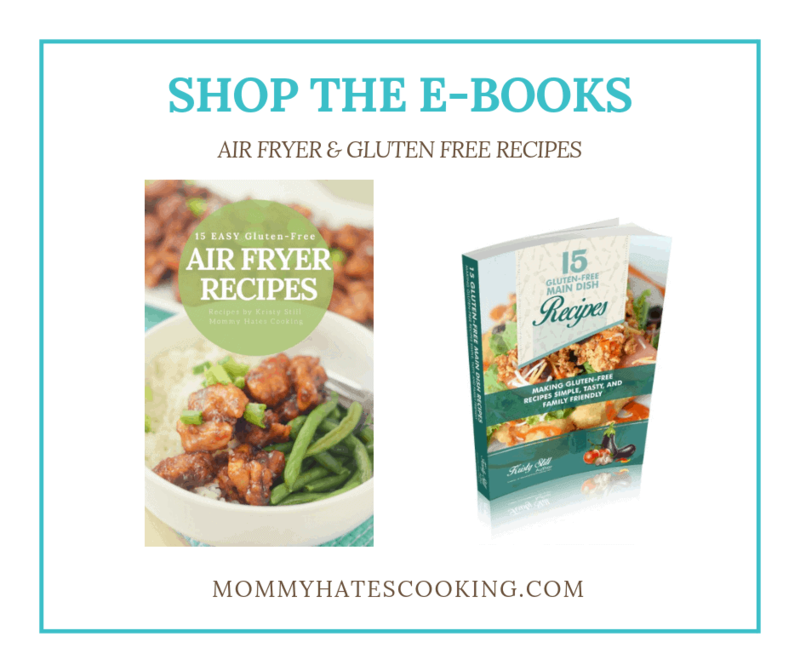 That’s it, most of which will all be hanging out in your pantry! 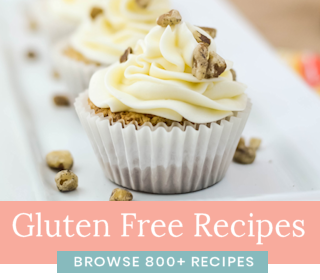 This is one of the best party foods, plus I love that it can be made with a gluten-free option, of course it’s no-bake too! That’s probably the best part, right? We were introduced to this many years ago and ever since it’s always been a favorite around here. We made one recently for Thanksgiving and it was a hit with the adults and the kids. 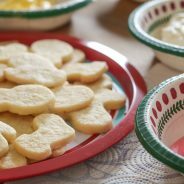 What types of go-to items do you serve for parties? 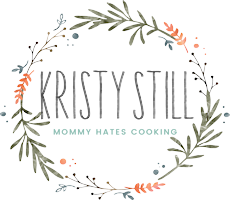 I’d love to hear your party food favorites! 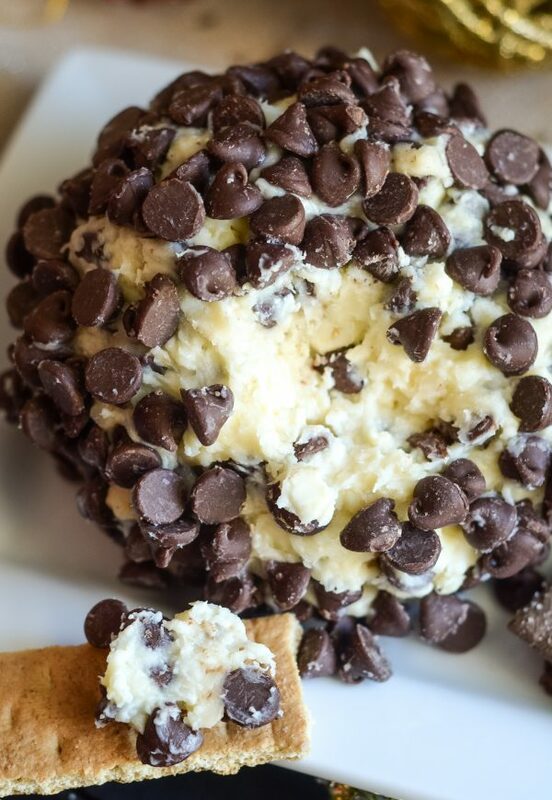 A delicious Chocolate Chip Cheesecake Ball is the perfect party food! In a large mixing bowl cream together the cheese and butter then add in the remaining ingredients, folding in the chocolate chips. Let it chill in the fridge 2-3 hours then remove and shape into a ball. Put back in the fridge to chill and set for 1-2 hours. Serve this with the Chocolate Graham Cracker Sticks. 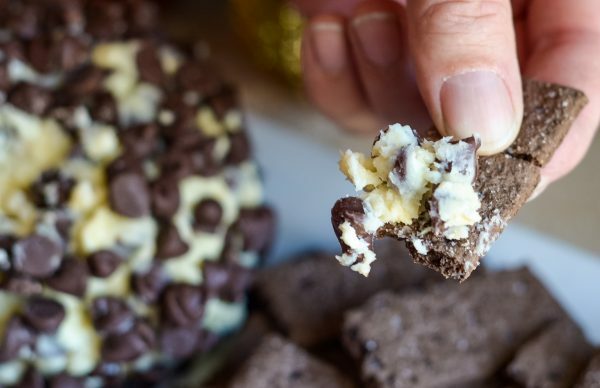 If you prefer, you can roll the ball in chocolate chips. I make this recipe all the time but use mini chocolate chips!!! My boys also love using Teddy Graham’s to dip with.